Campo de’ Fiori, or just Campo to Rome’s conoscenti, offers a slew of cheerful restaurants and wine bars. 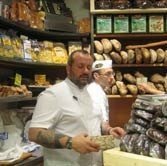 As a lunch or light dinner spot, Roscioli gets applause for fresh bread (home baked) of every kind. Grab pizza bianca and cheese delights over the counter. Pasta and veggie prices depend on kilo weight. Delicious foccaccia and yeast-heavy Lariano bread with raisins, olives or nuts. Supplis (rice and potato croquettes) are also a must. You can take out. Wines by the hundreds. Opens at 7 a.m. 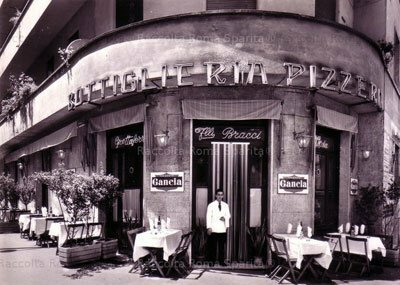 The Roscioli restaurant is around the corner.